It was chilly and cloudy on that May morning in Central Otago when, unbeknownst to me, my trout-fishing world started turning full circle. I wasn’t awake at the crack of dawn, as I had been habitually for the whole month of April, exploring as many waterways as possible before a lot of them closed for winter. I wasn’t eight kilometres upstream from the car, debating whether to call it a day or venture further around the next bend. And no, I hadn’t flown into the backcountry by helicopter on a multi-day tramping trip. In fact, when I caught my biggest trout so far, it had been only my second or third cast, and I was still well within sight of the car. The 3.2-kilo beastie brown buck had gulped my #1 streamer and made all my hard work and dedication to streamer fishing New Zealand’s rivers worthwhile. Catching a trophy-class trout is a dream shared by many trout anglers and often remains exactly that – a dream. I originally came to New Zealand with this dream and, for a long time, thought it would never happen. It’s easy to believe that unless you pay for a guided trip or undertake a serious backcountry trip, you might never have a chance at really big fish, even if reasonably proficient at catching trout generally. Many fly anglers appreciate the feeling of doing it all themselves, with eventual success – especially after putting in the hard yards – being all the sweeter. A 3.2kg (7-pound) wild trout is considered ‘above average’ by New Zealand standards (depending on who you talk to), but for me it was definitely a dream come true, and feels as if the purpose of my original mission to New Zealand has been fulfilled. Of course, catching an even bigger one in the future will be better still! 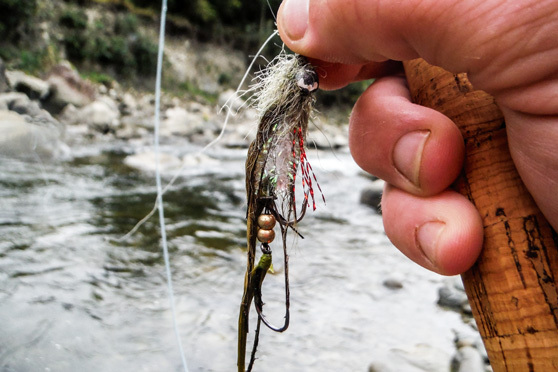 My approach to exploring New Zealand’s rivers as a fly angler is different to most other fly fishers, which sees me casting out and stripping back large streamer flies (feathered lures) that imitate fish rather than insects. So, since I very rarely see or speak to anyone else while practicing this technique here, I feel it’s my duty to represent trout-streamer culture in New Zealand, where upstream nymph fishing really dominates the fly game. My addiction began upon becoming ‘hooked’ to the explosive and aggressive takes a trout in predatory mode makes when chasing small fish. Subsequently, when trying other fly-fishing methods, I couldn’t stop thinking about what might be happening if I had a streamer in the water instead – which is why I now fish streamers exclusively! Even when I spot a trout, I virtually refuse to try a bug imitation over the chance of enticing it with a large streamer. Although I often spook it, the opportunity to see how it might react is simply too exciting. After all, on the odd occasion I do hook these fish, it feels as if I’ve busted all the mythical guidelines of close-quarters New Zealand sight-fishing! Many Kiwi fly anglers think I’m crazy, especially when shown my flies and I tell them I usually fish with 12-16lb tippet (to help cast large flies and get them out of snags), which can be as short as one metre. Even in clear water, a trout that’s willing to chase and eat a streamer won’t be concerned by the tippet’s diameter. The general consensus seems to be that New Zealand’s trout are somehow different, and that fishing for them is more difficult and requires adopting the ‘Kiwi style’ to be successful. 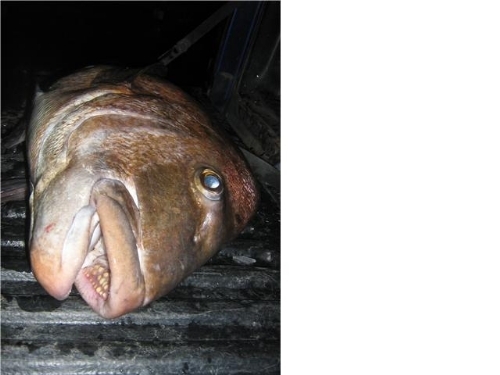 Indeed, New Zealand’s reputation for large, spooky trout and clear water discourages many anglers from casting a fly at all until they’ve spotted a fish. This approach has its drawbacks. Admittedly, my diehard streamer approach has its limitations too, but I don’t believe that every large trout is going to be in plain sight as you walk along the river. Nor do I believe that these trout get fat on a strictly insect diet. Trout are opportunistic feeders and will prey on other fish species as well as their own juveniles. In terms of energy expense versus food value, the breakdown is pretty simple: trout will move further from their holding position to chase a larger meal. Also, as the fish being preyed on are usually larger than bugs and behave differently in the water, a hungry trout will adjust its approach to chasing and eating them. 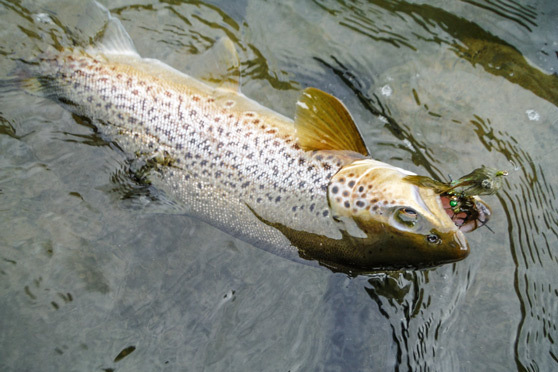 Since bugs– present in much higher numbers than small fish – often drift helplessly downstream and have no real capacity to evade a feeding trout, it makes sense for trout to wait for these food items to be brought to them. However, a small fish found in the area triggers different behaviour: trout must react quickly and/or aggressively, deciding whether to take advantage of a feeding opportunity or remove a threat. Either way, they usually chase or take some sort of interest if not spooked beforehand. I would love to see more fly anglers fishing streamers in New Zealand. It can be a great way to bring more excitement to your days on the water, especially if relatively new to the sport and struggling to find success. If you tie your own flies (which I strongly encourage), tying streamers is easy to learn and a lot of fun. Later, when you see a trout dart across the river to track down your homemade streamer and chomp it for the first time, you’ll wonder why you haven’t been fishing streamers all along! While it pays to carry a range of streamer sizes, colours, profiles and weights, along with sink-tips or perhaps a streamer-specific fly line, there is nothing wrong with tying a streamer onto floating line and three-metre leader. Arguably, this is actually a more sensible approach for fishing upstream with a streamer, with your high-riding fly-line making it easier to stay in touch with the fly as it drifts toward you. Sinking lines tend to get pushed around in the varying currents, making detecting strikes difficult at times. As this style of fly fishing for trout is relatively new and there is no right or wrong way to streamer fish, experimentation is encouraged, as any method may prove successful at any given time and place. It’s true that I have, on occasion, had long days on the water with little excitement. However, like many worthwhile things in life, some persistence can be the key to success, so don’t give up too easily. There are times when I go a long while without any action, but one follow, strike or hook-up is all it takes to restore my confidence in this streamer-fly approach. On a recent trip to the Tongariro River, I didn’t have much to show for my time spent on the water. However, if I hadn’t stuck to streamers, I would’ve missed one of the most exciting follows I’ve ever had. A trout, looking to be at least 2.7kg, aggressively followed my streamer a long way from the other side of the wide braid I was fishing, nosing it closely through multiple currents before arriving at my feet. While it didn’t take, it was a heartstopping moment, and an experience I wouldn’t trade for anything (bar actually hooking it up using the same technique!). Fishing large streamers is a great way to target those bigger trout so many of us are after, being especially effective at attracting the attention of the area’s bigger fish. Also, beginner/intermediate fly fishers might find more productivity in chucking a streamer out and moving up or downstream to cover some ground, rather than spending lots of time changing bugs and fiddling with the setup. Finally, don’t be discouraged if you don’t get any action the first time you try streamers — the first time you experience an aggressive follow or take, you’ll be addicted!